It’s a beautiful spring Saturday in early May and we are venturing out to the Bud Break Festival in Mt. Airy, NC! 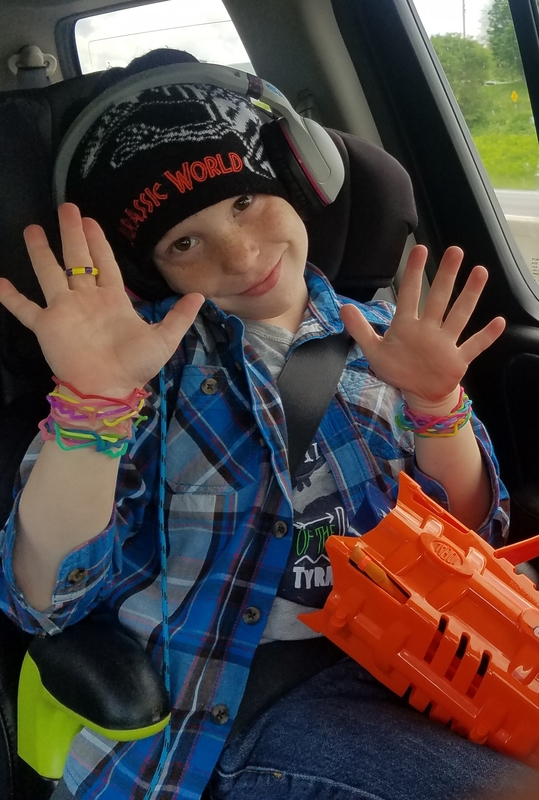 Before we can leave the house Hayden has to add finishing touches to his outfit…both wrists loaded with silly bands he snatched from his sisters’ room and a Jurassic Park toboggan. While my husband was questioning his decision to raid Elle’s room for accessories I simply laughed. The truth is that I miss those little moments of fashion choice independence I cherished with his sisters. Boys are pretty easy to dress. Hayden will almost always simply put on whatever I lay out for him and go on about his way; he is much like his daddy in that respect! The girls though first started showing glimpses of their developing personalities through their fashion choices! 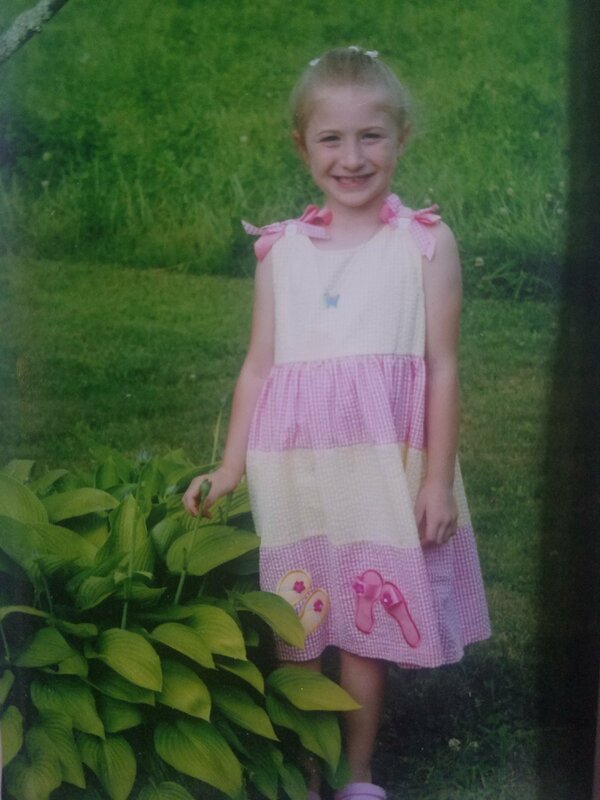 Christina, our oldest, loved to wear dresses and much to my dismay, little shoes with heels! I still recall the countless discussions we would have about how it probably was not a good idea to wear said heels to school as they are not recess or P.E. friendly. Many of these discussions ending in tears, mine and hers alike! That battle ended though when she fell off the playground equipment one day while climbing in her heels. I’m not sure she ever asked to wear them again! Pick your battles my friends! Her taste in shoes has grown, I often find myself purusing her closet for the perfect pair of shoes to complete almost any outfit! Elle on the other hand, had no interest in heels, or dresses for that matter. She did develop a taste for tu-tus though! You may be envisioning a little ballerina in powder pink tulle and you would be dead wrong. Elle did posses a tu-tu in every color of the rainbow, which she wore over black leggings or skinny jeans with black knee-high Chuck Taylor tennis shoes and a black tee shirt with a sassy saying or rock band on it. In her defense, she has red hair and looks impeccable in black! I loved that phase, she embraced being unique and a little eclectic. 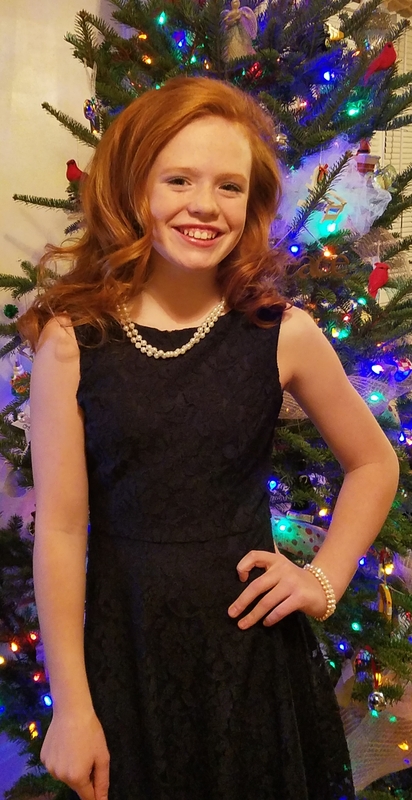 While she wouldn’t think of donning a tu-tu now and that sweet phase was followed by a terrible sweatpants phase, she has grown into a beautiful pre-teen with style that is still more relaxed but all her own. Thank God for tu-tus! So for Hayden, I don’t mind his show of fashion independence…. go ahead and rock those bracelets lil man!